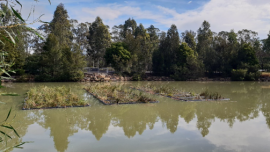 Previously, if a council or golf course (or other organisation responsible for a body of water) wanted to determine areas of sedimentation, monitor success of dredging projects or provide accurate volume calculations, their options were limited. Our new bathymetry and sediment mapping service aims to solve that particular problem by providing a fast and accurate mapping service. If the client has an existing baseline bathymetry map available, then it’s possible to provide an accurate map of the volume of accumulated sediment between the two survey events. Harris Environmental Consulting can create bathymetry maps using an acoustic sounding device linked with global positioning systems (GPS). The surveys, which are carried out by kayak or motorboat (depending in part on the size of the body of water) provide a snapshot of the current water depth and sediment distribution and can be compared with past bathymetry surveys. 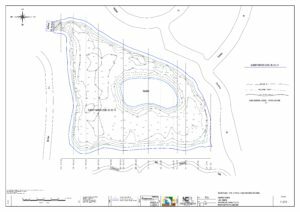 After completing our survey we provide clients such as councils, golf course owners and land-owners with a visual image of the depth and contour of the water body in the forms of GPS surface mapping, bathymetry and colour 3-D contour imaging. 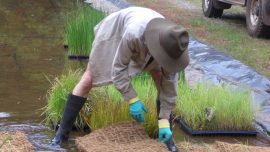 Some of the potential uses of this service including assisting in the design of wetland restoration works, assessing the effectiveness of fish stocking, aeration and chemical treatment calculations, assessing water safety hazards and in obtaining accurate volume calculations for water quality treatment and hydrologic balance assessments. If the client has an existing baseline bathymetry map available, then it’s possible to provide an accurate map of the volume of accumulated sediment between the two survey events. The speed with which we can complete a survey is a major improvement on more conventional methods. 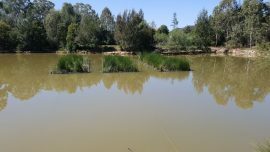 Amongst the many possible applications of this innovative new service are council stormwater ponds and wetlands, sediment basins for constructions sites and quarries, golf courses, recreational fisheries, estuaries and lakes, water storage reservoirs and recreational water bodies. For any of these situations we can provide colour, poster-quality maps in PDF format, printing options from letter size all the way up to large format wall maps and GIS shape files. 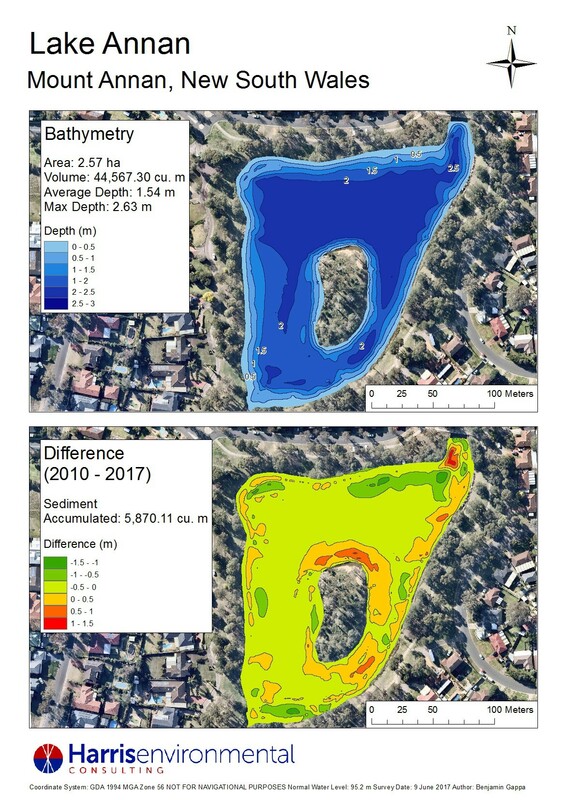 If you have any questions about our bathymetry and sediment mapping service or would like to obtain a quote, please contact Sean Harris at Harris Environmental on 0425 335 245 or email him at sean@hec.eco. Details of the new service can be found on our Bathymetry page.